This monogram piece is hand painted with a single gold letter monogram in the center. 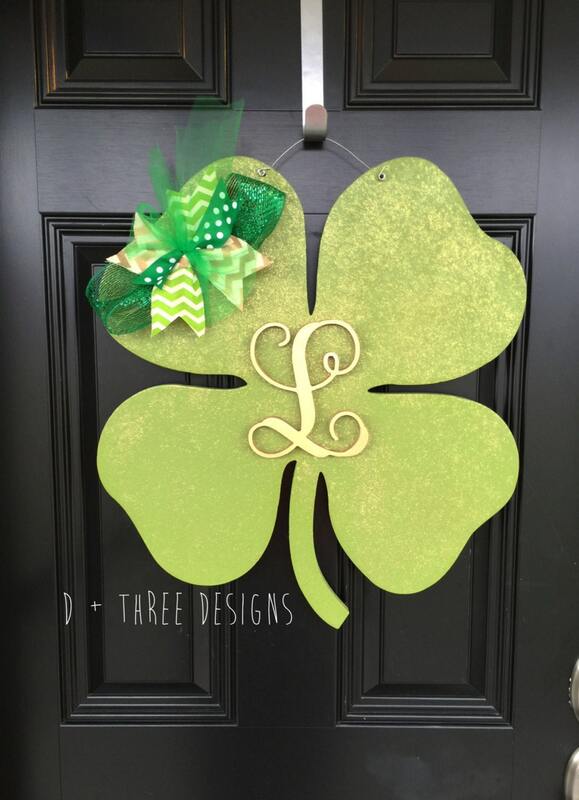 Your monogram will be cut from 1/2" birch wood and comes PAINTED as pictured above with a wire hanger and multilayered matching bow. 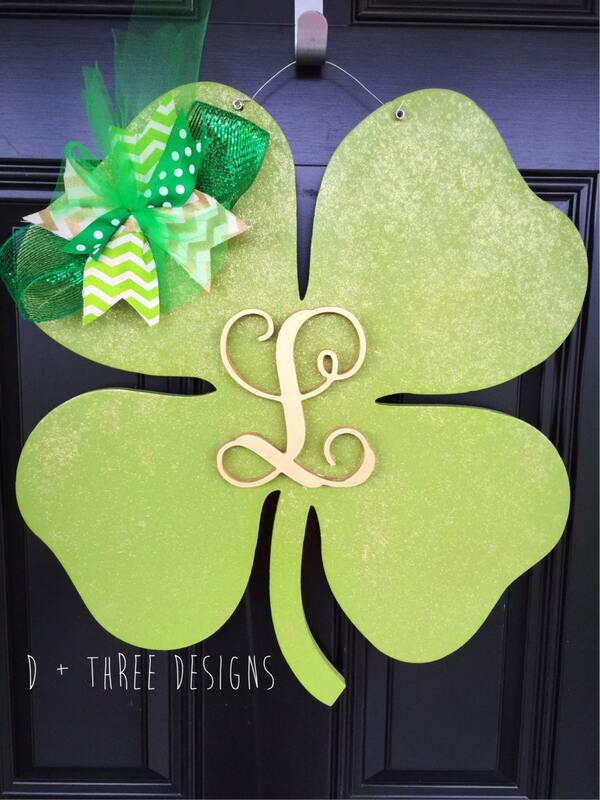 This design is great for St. Patrick's Day or to show your Irish heritage. 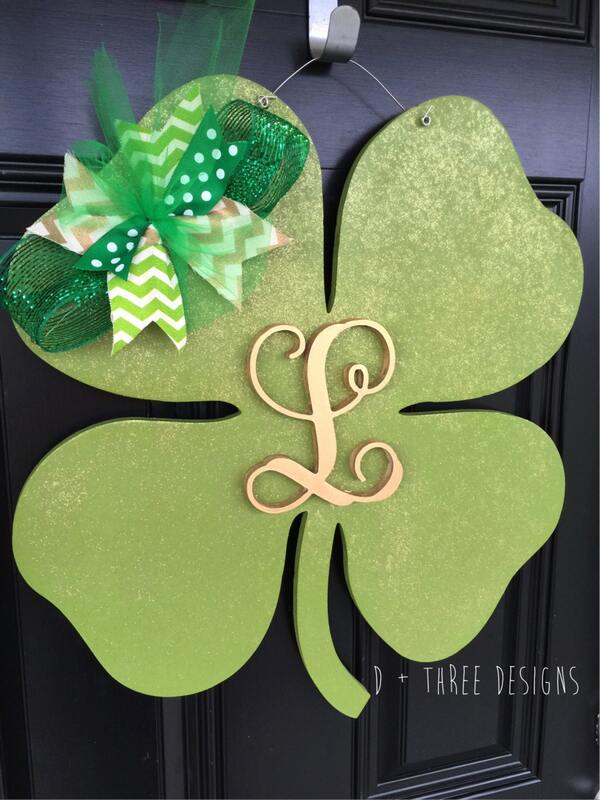 Please let us know what letter you want to be in the center of the clover in the comments to seller box during check out or send us a message. Please check out our social media page! Due to all monograms being custom made they are NON-RETURNABLE. Turned out beautiful, thank you!